Size of the product: 15.5" (L) x 8" (W). 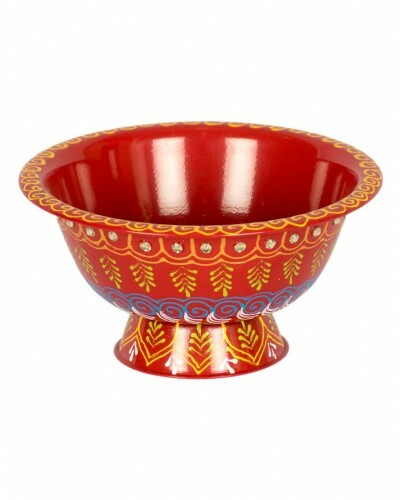 Bowls in general are used for serving various items. 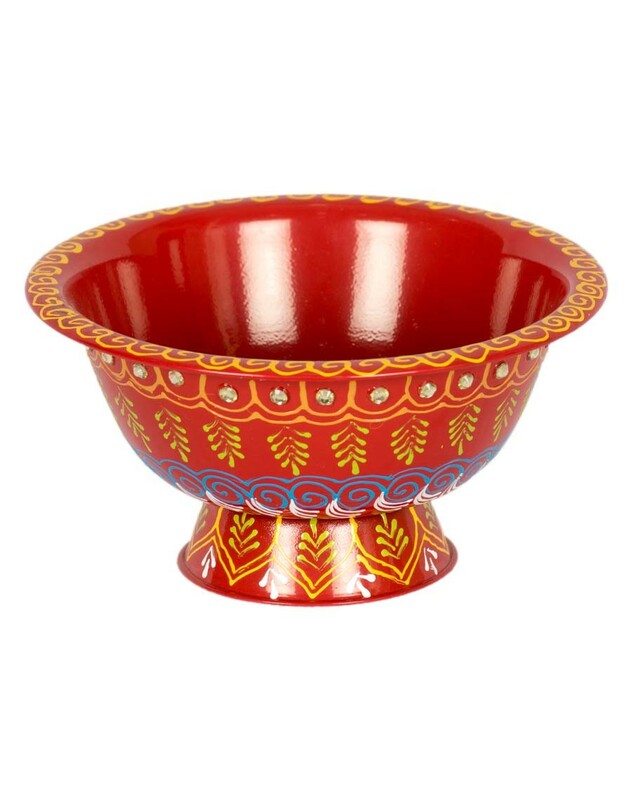 Made of durable steel and painted colorfully with oil paint, it is also embellished with stones. It can be used for serving sweets, storing mehndi or for serving any snacks. The bowl also has a stand that ensures safe placement while serving. Highly skilled artisans work painstakingly and lovingly on each piece preserving its uniqueness and beauty to make it everlasting. Be it a Personalized gift or a Wedding Gift.